Jarbird is a London based four piece that formed when vocalist Ric and singer/pianist Lara joined forces at Leeds University, acquiring Jim for bass duties and bringing in Hampstead resident Rami as drummer to complete the lineup. Soundwise, the band released its debut EP Such Is The House in March to share its ambient, contemporary pop ways. 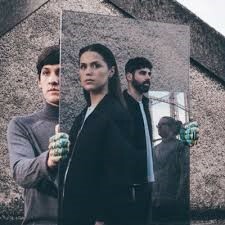 The open, present sounds of Iona come with an openhearted air and stands as a personal favourite, but the EP’s title track seeks to show the diverse musical tastes and perspectives, unravelling with flourishes and layers. The band makes its willingness to explore possibilities with their music known on Gavelkind, evolving into a flurry of sounds and vocal play in Jocasta for an enlightened sound that becomes more engrossing on every listen.